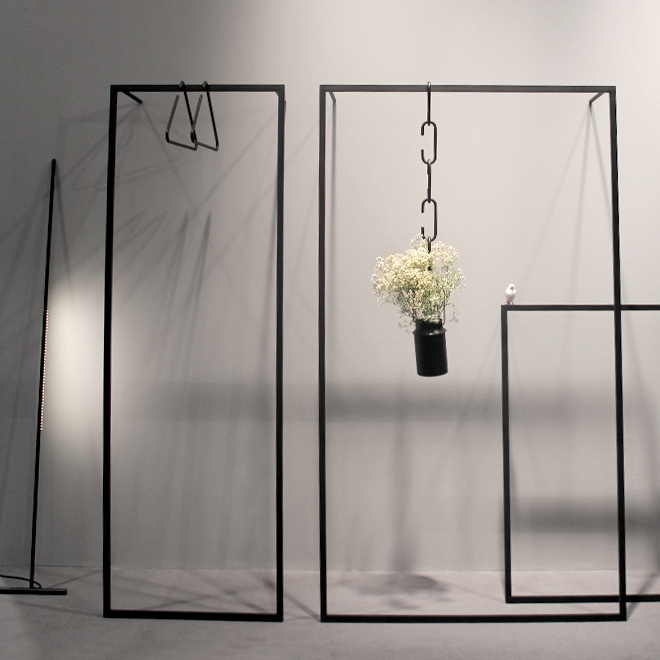 Ambiente Blog • Minimalistic shapes andnatural materials. My name is Desiree Groenendal. I am the founder and for more than 10 years editor of Vosgesparis, a Netherlands-based international prize-winning interior design and lifestyle blog. 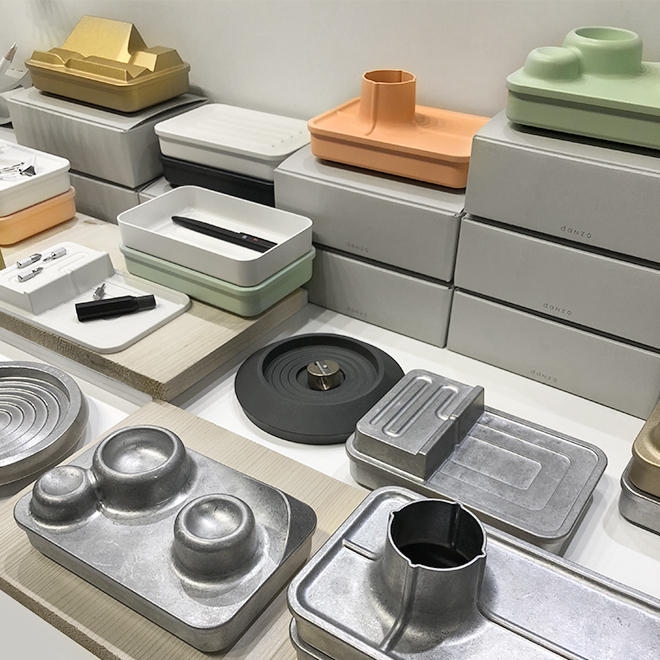 Three days of Ambiente didn’t seem enough to really see it all, and maybe that is not even what one should go for, however I selected my favourites within the fields of interior, stationery and table setting. Over 4,400 exhibitors to discover! After having visited fairs for many years now I am used to the fact that once I am home again, I will always perceive something popping up I should have recognized as well, or realize that I missed some brands although they were on my list of must-sees. Visiting fairs is all about time management. I counted over 30 kilometres on my step counter at Ambiente! The best feeling visiting a fair is that you can discover something totally new just around the corner. 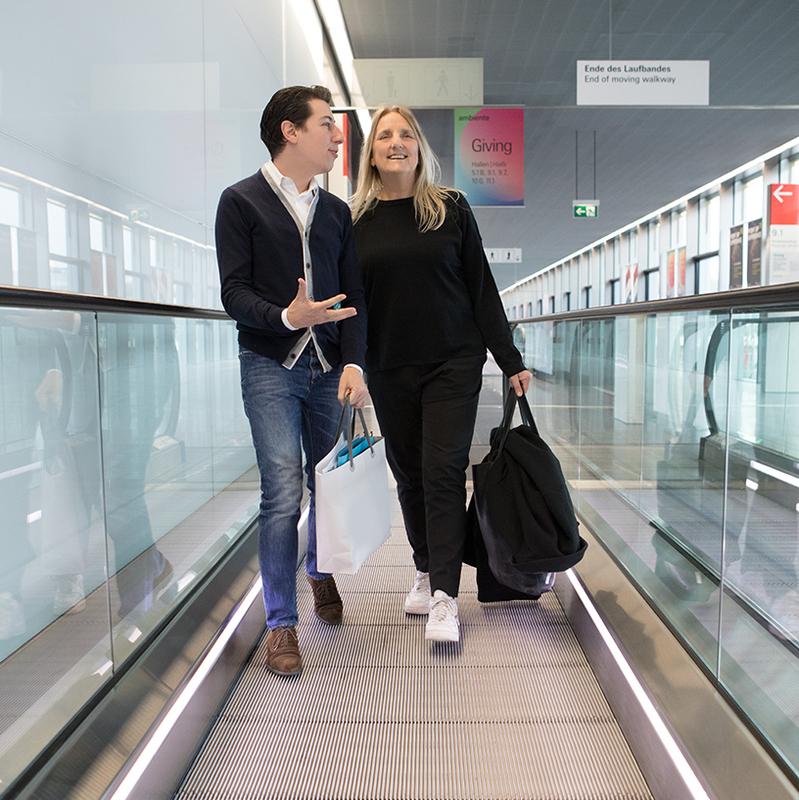 It was my first visit to Ambiente and there was so much to see with over 4,400 exhibitiors! I was happy to find brands I never had seen before next to also meeting the people behind those brands I am already in touch with online. Something I always really love to explore are the areas where you can find tomorrow’s brands and young designers in the so-called Talents area, and it is still hard for them to make name in the interior industry. Running an interior Blog, I spotted and wrote about a lot of young talents and their work I discovered at different fairs and exhibitions. 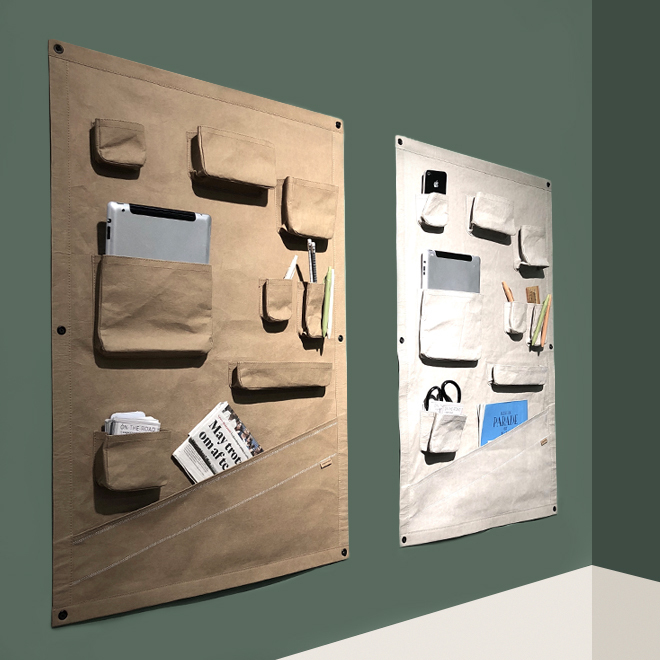 When visiting the Design Academy in Eindhoven last year I was surprised to hear students get no information about how to promote their work once they have graduated. On the other hand, I am surprised how many of these young designers are thinking Instagram is not cool or important for them to use. I personally love Instagram and find lots of talented brands. On the second day I had a Facebook live tour with Ben Wilson of the Ambiente Facebook team through the Trends area. I had a look at the area the day before to see what to expect, and attended one of the lectures at the Ambiente Academy by the curator of the Trend area Annetta Palmisano of trend bureau bora.herke.palmisano. 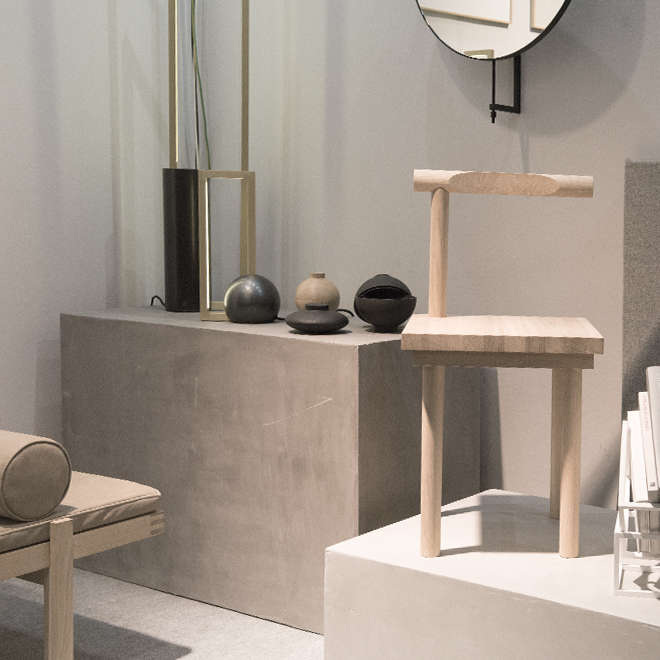 The trend bureau filtered the relevant seminal influences in design, art, architecture, fashion and lifestyle, resulting in a curation of selected products of Ambiente exhibitors. 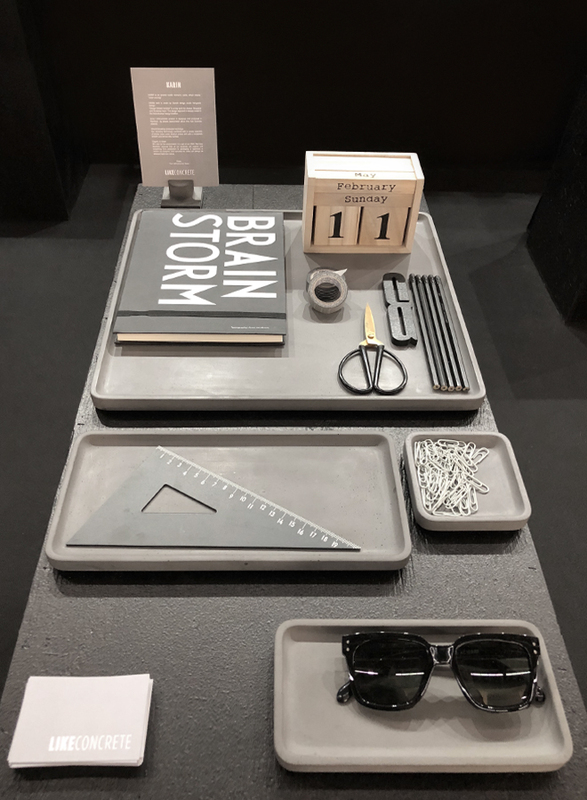 The Trend area consisted of four different trend worlds with handmade items, small furniture pieces, art objects and everyday things in different materials. After my visit I tried to figure out what it was that some of the areas in the Trend presentation appealed more to me than other? It would be easy to think my preferences are based on colour or maybe the lack of colour would be a better definition. It is not a secret I am not a huge fan of really colourful design, which doesn’t mean I can not appreciate it, it is just something I personally would not buy for my own home. I noticed that many of my choices are not only based on colour but shape and material are really important to me. 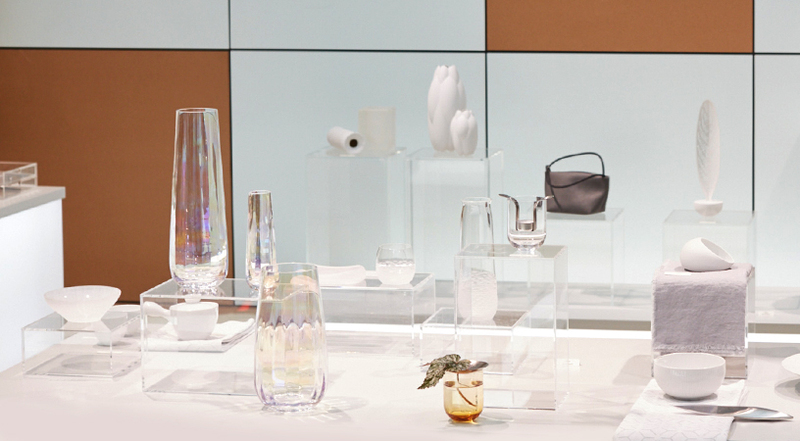 That’s why looking at the four trend zones I was probably most attracted by the calm and almost serene area called ‘Technological Emotions’, a beautiful collection of items in a soft colour scheme of mostly white and grey tones in combination with lots of glass. Over the last years we already saw a lot of the so-called ‘Japandi’ style, a fusion of Japanese simplicity and Scandinavian style. At the fair I noticed a lot of inspiration is coming from the Far East and I love how many pieces show elements of Wabi Sabi, the tableware that caught my eye had a raw and almost unfinished look as if it was handmade. Irregular shapes can be seen in both ceramic and glass pieces. I have always loved a bit of imperfection and out of the box thinking when it came to setting my tables and decorating my home, and I am glad we are drifting to a more darker almost je ne sais quoi style with beautiful earthy tones and hits of black. A style that is also a bit more masculine and robust. Using different materials, surfaces and finishes in ceramics, stimulates our senses and we experience it in different ways. Although many pieces have a raw and unfinished look, other pieces are made very precisely and show an almost velvet-like surface often in combination with earthy and soft tones like terracotta, linen, peach, beige and black. The same earthy tones are also found in linen tablecloths, kitchenware and cleaning supplies. Looking at tableware I discovered different brands that totally match the trend and style I am talking about and love so much. From Scandinavian brands to young designers from China and from raw ceramic to precious glass, here are some of my top finds. In the Talents area I came across ‘tell’s studio’ from China founded by independent designers Xinyu Dang and Jie He in 2015. 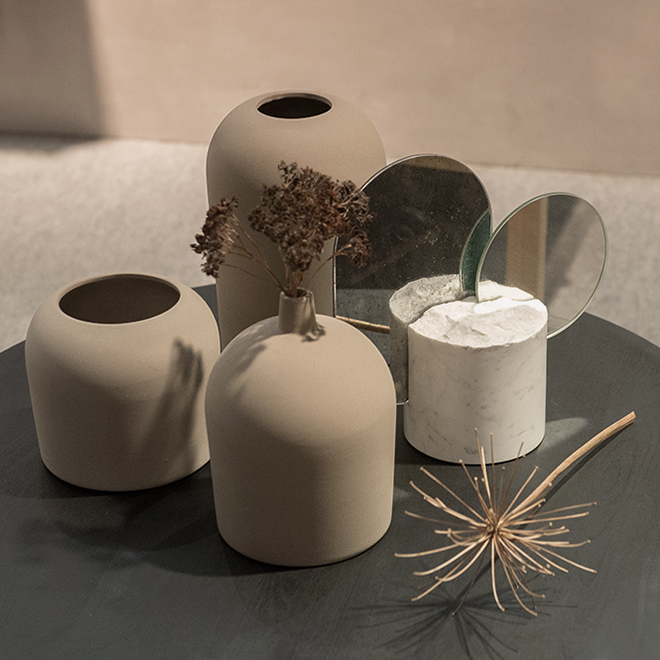 At the exhibition they presented minimalistic tableware pieces from their new product line ‘New Clay series’. 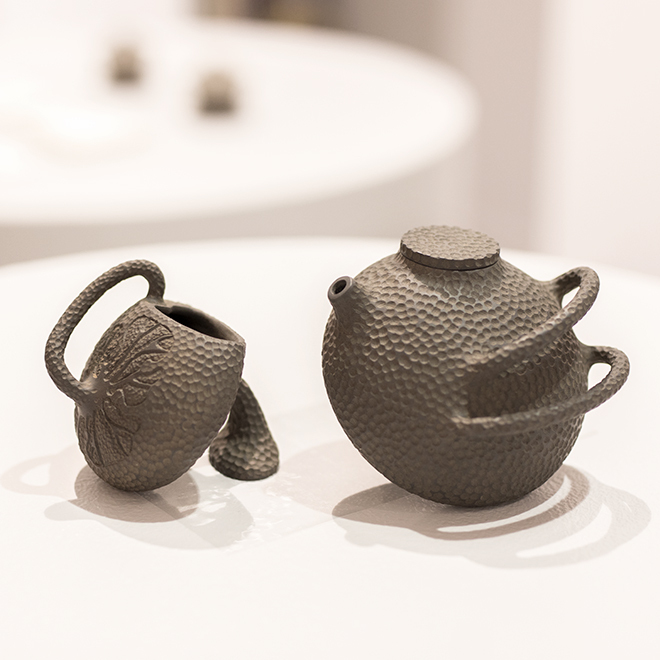 The YiXing purple clay used for the new products is over thousand years old and has a unique texture. It contains different iron and other elements of which they say it is healthy to drink from. 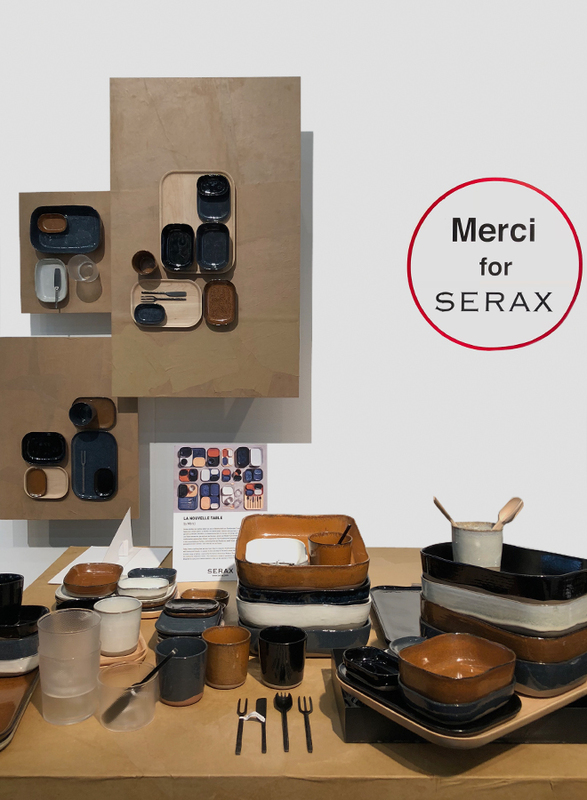 Belgium brand Serax keeps surprising me, collaborating with different designers and creatives they launch the most beautiful collections year after year. Last year the collaboration with Parisian concept store Merci was launched and I am pretty hooked and started collecting different pieces from both the ‘American Modern Dinnerware’ by Russel Wright and the traditional Japanese ‘bento’,-based collection. 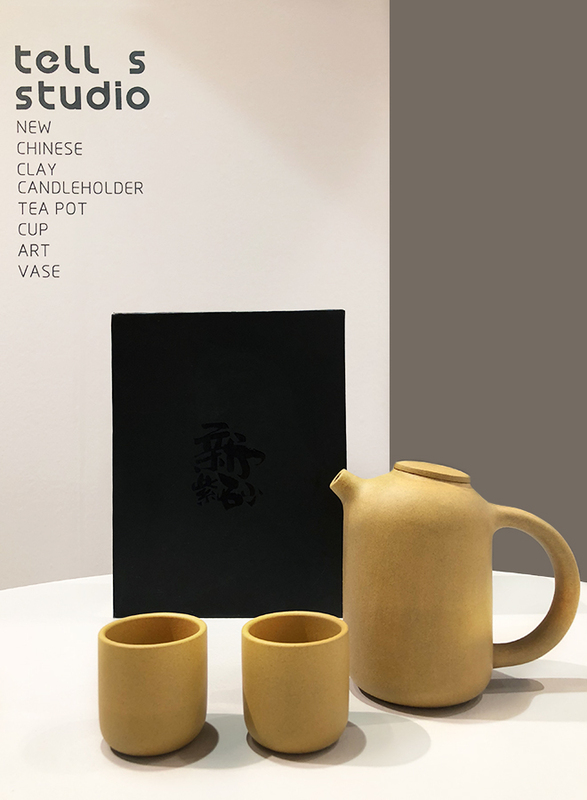 This collection that shows on one hand a very Japanese feeling and on the other hand has an almost unfinished touch perfectly fits all Wabi Sabi principles. This is how I love my tableware most and I enjoy using it almost every day and on many different occasions. The collection even found its way to Japan recently, and is sold in different stores in Japan. Rig-Tig by Stelton combines clean, Scandinavian design with functionality and offers a range of kitchenware for cooking & baking. I loved to see the different colour touches of peach, grey and terracotta combined with black and wood. Not only in the baking products and silicone flower pots but also in the kitchen towels. It gave me an instant Spring feeling looking at it. Ambiente is not only about amazing tableware it is also about design and interior brands showing their latest collections. I loved strolling through the Living and Decor halls and I must say there is something for everyone’s taste especially in the halls filled with decoration. Considering myself as a minimalist who loves to live in an atelier-like vibe where there’s space for different objects on display, I was mostly attracted by the brands with a more clean look. My style might be a bit more masculine and I enjoy a mix of different materials we find in nature, such as stone, concrete, marble, metal and wood. If I need to mention one thing that caught my eye, I’d say I noticed a lot of great solutions for the hallway. 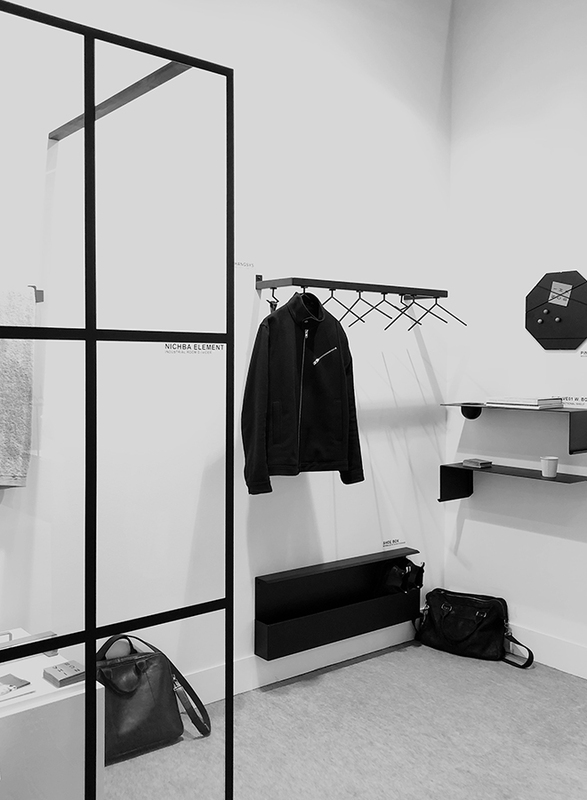 Minimalistic storage solutions, shoe and coat racks in sturdy metal. 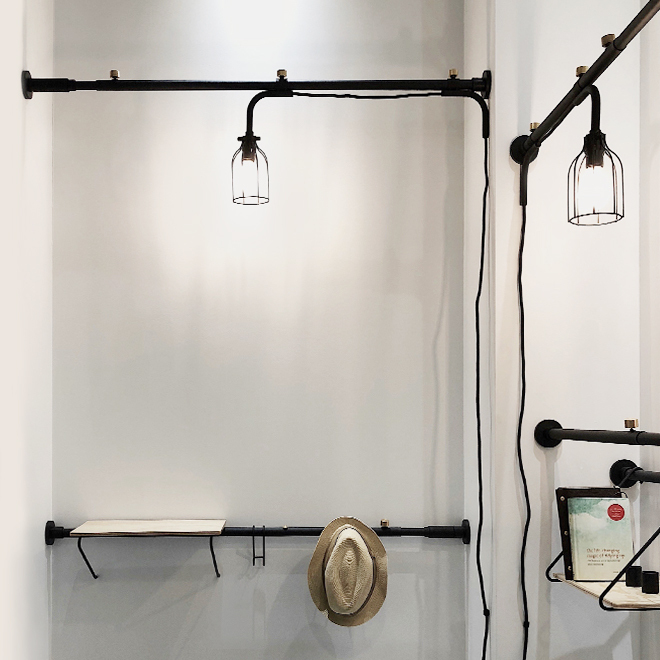 Especially Nichba Design surprised me with their minimalistic pieces for the hallway and their clever room divider, totally something that would fit in my own home and one of my favourite finds and new brands discovered at Ambiente. 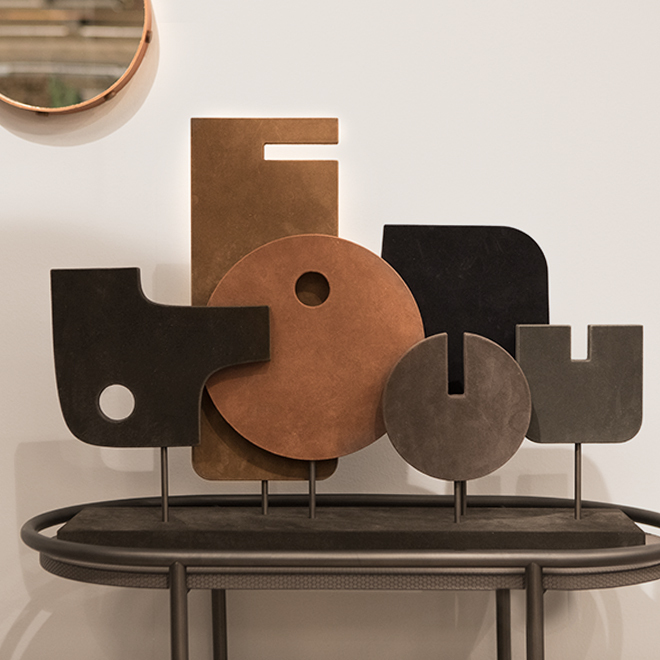 The sculptural objects by Kristina Dam have been favourites of mine for many years, pieces are designed to give a room that little extra character and attitude. Her approach is sculptural and inspired by Japanese details, graphic Bauhaus art. 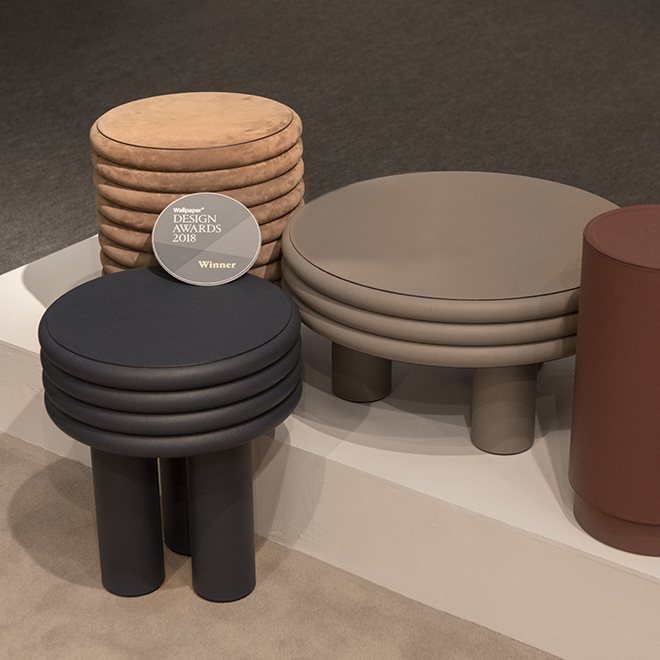 Shapes are the focus of Stéphane Parmentier: He designed different objects using suede for the Italian brand Giobagnara. 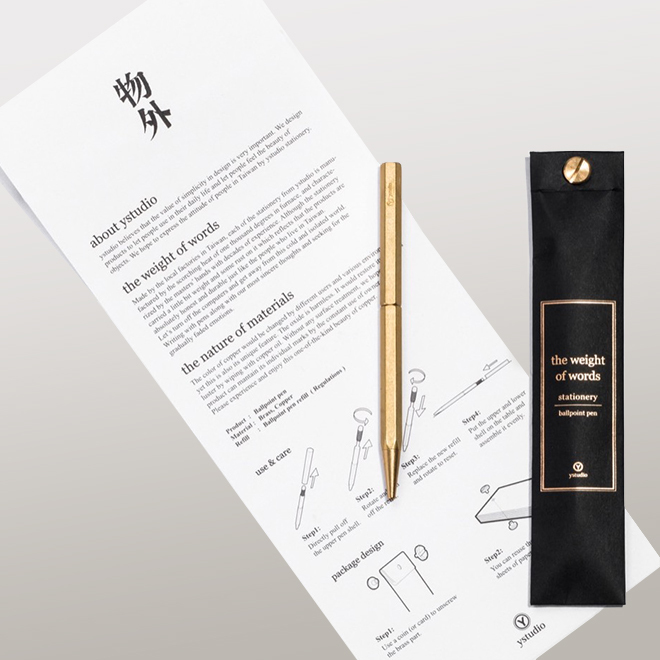 The creative duo of Tent teamed up with Heian Shindo, who ‘re-invented’ the classic rod we know from our showers. Tent created a series of accessories to use with the rod. The office items I collected over the years are mostly from Japanese and Asian brands, they have a minimalistic look and I love how clever small envelopes and boxes for instance are often designed. 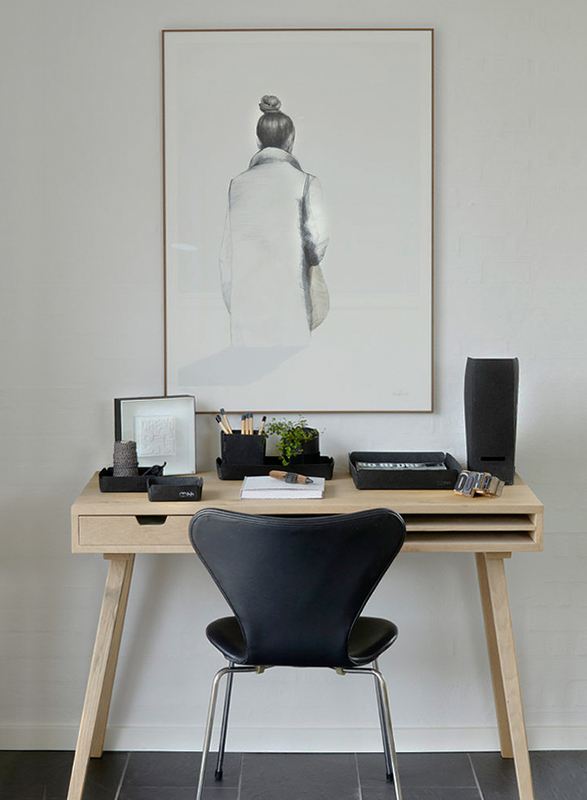 Many products are adjustable to everyone’s different need like the Landscape organizer boxes by Danzo who provide clever stackable solutions for desk accessories. Function follows form, each box lid is outfitted with a particular Taiwanese terrain scene. The series contains five choices of terrains; each provides unique functions for various uses, all made of aluminium. 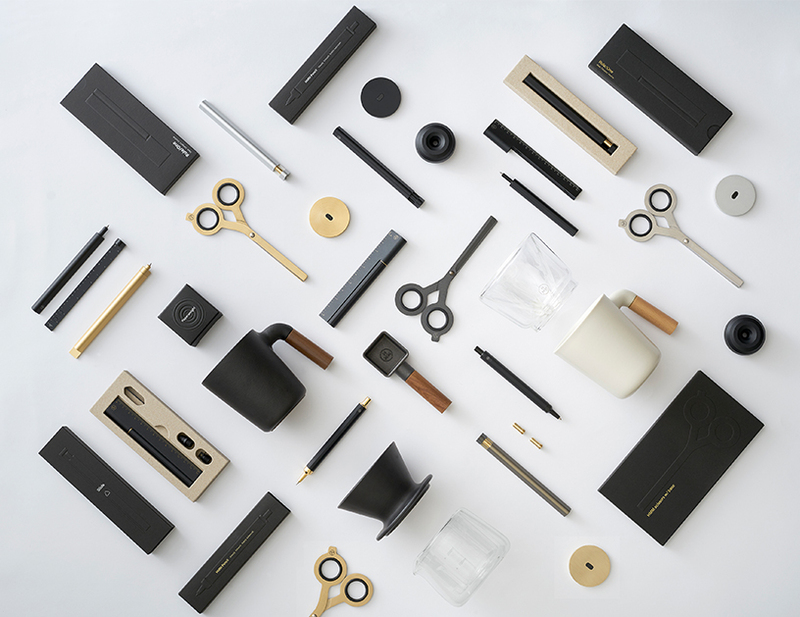 Ystudio invites you to find back to the fading feelings of writing resulting in a beautiful collection of writing products. There are not many things I buy when not needed. However, I think you can never have enough notebooks! I use them for every project and regularly use stationery products in my styling. The collection of Traveler’s Company is a long time favourite of mine, I use the traveler’s notebooks almost every day and they get more beautiful over time like the Midori series. Traveler’s Company offers a variety of products both for travel or for at home to create a beautiful and practical home office. 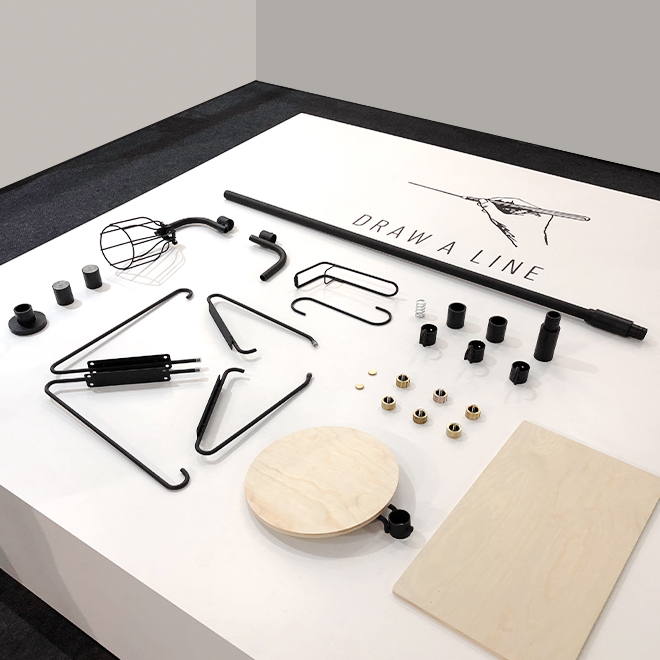 Different Taiwanese creative brands were selected and brought together exhibiting under the label ‘Fresh Taiwan’. 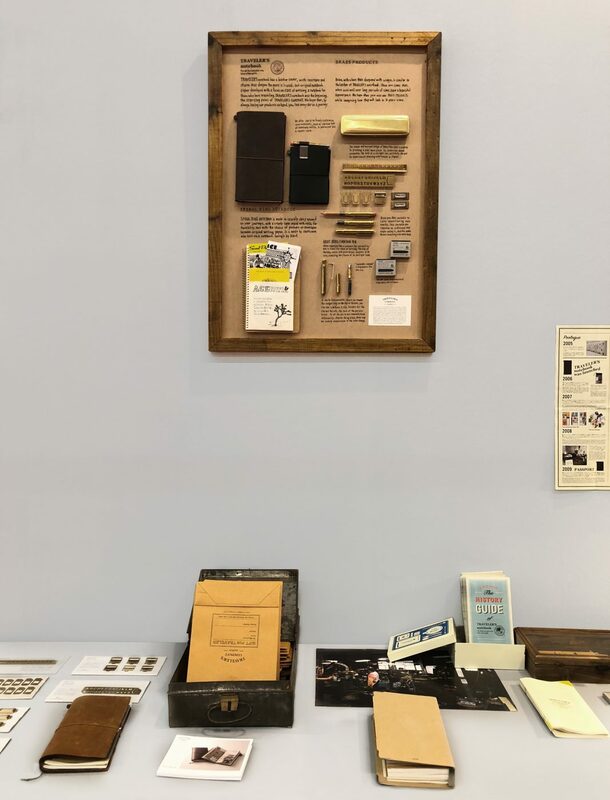 I personally loved to see the many different stationery products of this group of mostly young designers and would love to show you some of my favourite finds including some brands that caught my eye for their use of material. I spent some time talking with Michael and Mei of HMM (Human Mechanic Method), you might already know from my live coverage at Ambiente. I really appreciated meeting this young brand, that already has won several prizes for best design including a Red Dot award for their Classy Work Collection. One of the surprising new brands was Danish ‘Like Concrete’ that after two years of research developed a casting method and new innovative production technique, which enable them to work with concrete shapes and materials in a way I have never seen before. I simply love the concrete look and the silky surface of this lightweight material. Danish OOhh collection is participating in a project in Sri Lanka where products are made by women working from home, earning income for their family. My eye caught the office collection made out of grey and black trays for the home desk, OOhh offers a wide range of products for home and garden all made out of recyclable materials. I came across Italian Fabriano Boutique in the trend zone and went to see their stand as I was intrigued by their use of material. 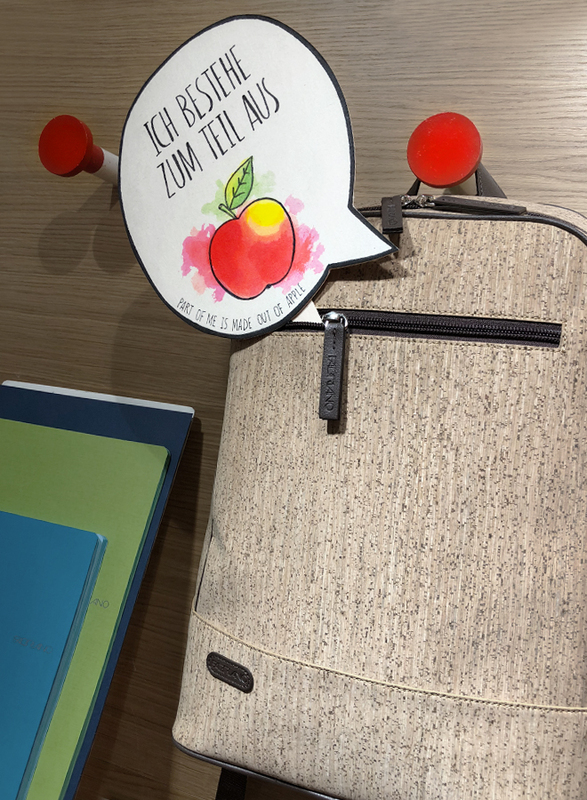 It proves it is not easy to directly understand the material as their bags and office items are made of woodfineer and cork paper as alternative for leather, the product is waxed for outdoor use in rainy weather, surprisingly the label of the bag shown in the picture is made out of residual waste of apples. More traditional at first sight, and actually a business run from 1899, e+m Holzprodukte was founded by Mr Konrad Ehmann under his brand name Turnery Ehmann to become Germany´s largest manufacturer of nib pen holders. 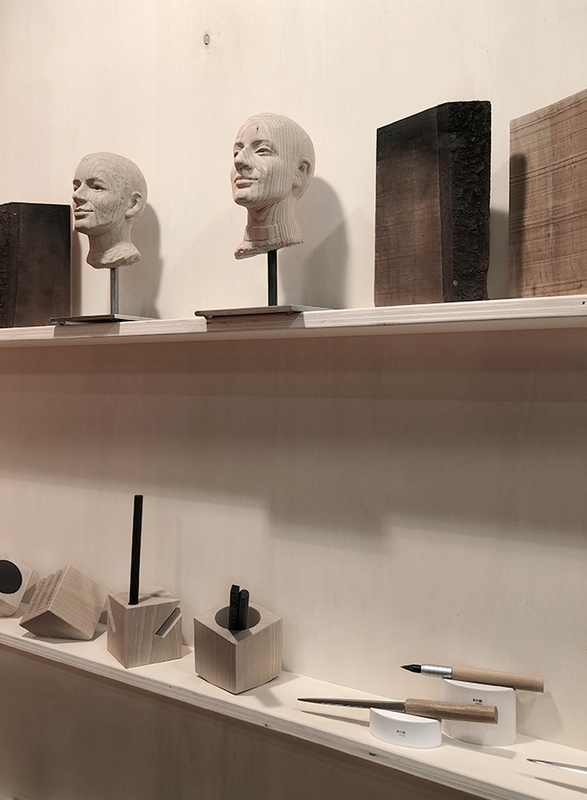 At the stand I discovered a variety of beautiful wooden writing instruments made of different precious woods from walnut to mahogany and olive. 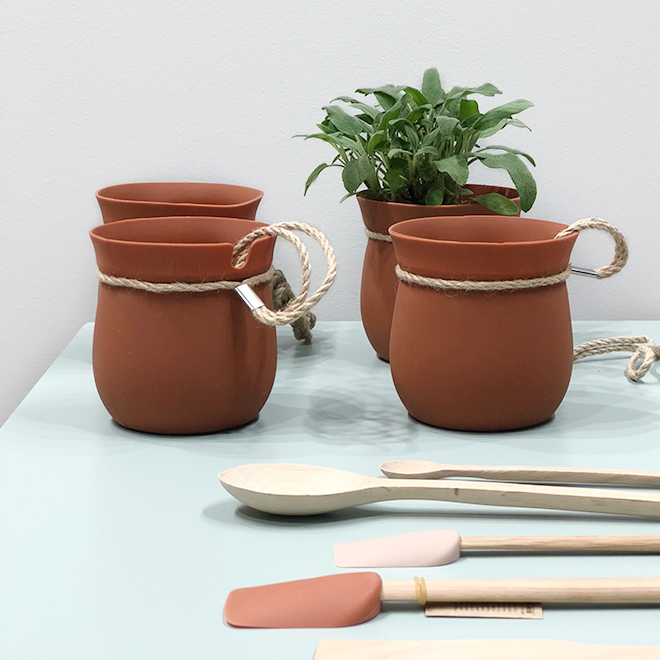 I really enjoyed visiting Ambiente, it is such a perfectly organised fair, and whether you are into Scandinavian and minimalistic design like me or on the lookout for colourful decoration pieces for your home, there is something for everyone’s choice. Thank you Ambiente for having me, it has been a real pleasure.